No idea is bad, its the execution that is the problem. Same could be said of Princess spike, easily one of my top five episodes I don't care to even glance at again. However this episode was about Spike, and I've been saying the guy has potential for a long while despite the way the writers treat him, so I'm going to show how that episode COULD OF gone, right here right now, and how it could of been so much better without needing to change the premise. What is the premise? The princesses are having a summit in Canterlot and Twilight is exhausted after not sleeping for three days preparing for it, so spike is charged with keeping her from being disturbed so she can rest. Pretty much the same beats are in this episode, obviously there are some differences but that is not the point of this post.The point is that its a lazy paint by numbers plot that should of been left behind with the turn of the century. -Spike values Twilight's opinion of him, in fact his biggest fear is her rejecting him and sending him away because she no longer needs him. -Now, more than at any point in the past five seasons she actually doesn't need him. She's a princess, has her own castle, she doesn't need to send the princess friendship letters, we haven't seen him doing much for her in terms of assisting, her missions take her outside of ponyville, and over all they have been more distant now than ever before. -Spikes opinion is devalued because he is a dragon and he needs to find a way of keeping their problems away from twilight so she can sleep. This episode was one where his title of "#1 assistant" could of came to the forefront. Spikes goal in the rewrite: Show Twilight that he STILL is her number one assistant. the peek: Things are going wrong, he feels like he is failing, causing more problems than fixing them. The resolution: Spike manages to put himself in The shoes of the princess and salvages the situation, not by abusing the power, but by thinking the way Twilight would and seeing how and why she does things the way she does with the HELP of Cadence. What Spike learned: He gained more respect for the way Twilight plans and organizes and gets a deeper understanding on how much more stress she is under now that she is a princess. Cadence is one of the cogs in this episode that was left almost entirely unused.  She just pokes her head in, knows something is going wrong, but does nothing but chide him briefly before moving on, and spike is near character assassination levels of unlikable in the peek of the original version. The episode opens up to the grand equestrian pony summit organized by Twilight Sparkle. She is exhausted and needs rest. Spike offers to help in any way he can to the crowd and is drowned out by the cheers of the crowd. Cadence and twilight Come to Spike to make sure she isn't disturbed. Spike who is the number one assistant, tries to keep the noise level down so she can rest, mentioning to the offending ponies and birds to keep quiet. However as the problems come and he is unable to get an answer from twilight for what to do he instead goes to her plans and sees that in her sleep deprived state she made some scheduling errors, like the summit meeting having both Manehatten and Whinnieappolis at the same time. The various ponies who come to get her advice and ruling do not take spike seriously and are not leaving the door alone and his calls for quiet are going on deaf ears quickly. Cadence sees Spike pouring over lists and schedules twilight made for the day and tries to decipher how to do it and Let Twilight sleep and fix the days conflicts but he is drawing a blank. Ponies are becoming increasingly rude and demanding and he sees vivid images of twilight being mad at him. He confides in Cadence that he wants to help Twilight now more than ever because she hasn't needed his help much lately and he's scared she doesn't need him anymore. Now that she does for this one simple task, letting her sleep, he can't even seem to do that. Cadence says she believes in him and if he were to relax he would probably be able to see the solutions to those problems. He knows Twilight better than anyone, so he would know best how to handle her problems as the number one assistant. its a speech that gets him up. He hits the now near catastrophic problems head on, not saying by order of the princess, but by telling the ponies to their faces that he is the princesses Personal assistant and he will be the one handling these situations. He uses the plans and his dragon nature to fix some of the problems, like sealing the water main with his fire breath or answering things in the way twilight would of wanted them answered. The day wasn't a major success, not everyone was happy, and not everything was neatly wrapped in a little bow, but it wasn't a total failure either, he valiantly fought on and tried to do everything for twilight and ended up in the end being too tired to even stand up straight. Cadence tells Twilight he did a good job today, Twilight tucks the slumbering dragon in while saying she'll see if anything needs to be redone or any bridges need to be mended with delegates, because he's just a kid after all and he won't see the big picture of these kind of decisions right now. But for one day and for the short term goal of just letting Twilight sleep, he did his duty quite well as her most faithful assistant, which makes the sleeping dragon smile upon hearing it. In my opinion this would of put spike in a much more endearing light. He doesn't need to be out of character levels of perfect, he doesn't need to save the day, but he needs to show that he tried and that he cares for twilight and puts his all into helping her out for even the smallest of things, not abusing her title to get a back massage and some free gems. This is exactly what this episode should have been (with only a few changes IMO), I'll say it again that this episode felt like it was supposed to be a comedy but then half way through tried to be emotional (and failed). If it had opted for an emotional plot (and done it right) this episode could have been something really special. I like this idea in that it portrays Spike as more respectful but genuinely underinformed than greedy and immature. It would help to make up for the straight-up Mr. Krabs levels of greed they've been writing him into lately. He would be biting off more than he could chew, a la "Applebuck Season", but the corruption of his intentions that mainly regressed his character and ruined the episode wouldn't be there. If anything, it goes to show how little respect the writers have for him in that there was a way the episode could have been written without relying on the same two character flaws that have been done to death. it would have been nice to see Spike not be a complete screw up about everything. My goodness, even the seemingly small things ended up going wrong i big ways. But considering how he got them to listen by speaking for Twilight, it does show a great amount of immaturity for him to think that it was an okay thing to do, even if he was helping. if the episode had to change, I would have preferred it to go else where to another plot about Spik, one where Spike just came out with the truth of Twilight have been awake for three days and needing rest at the start. I can't see those ponies coming back to bother Twilight after hearing the truth. 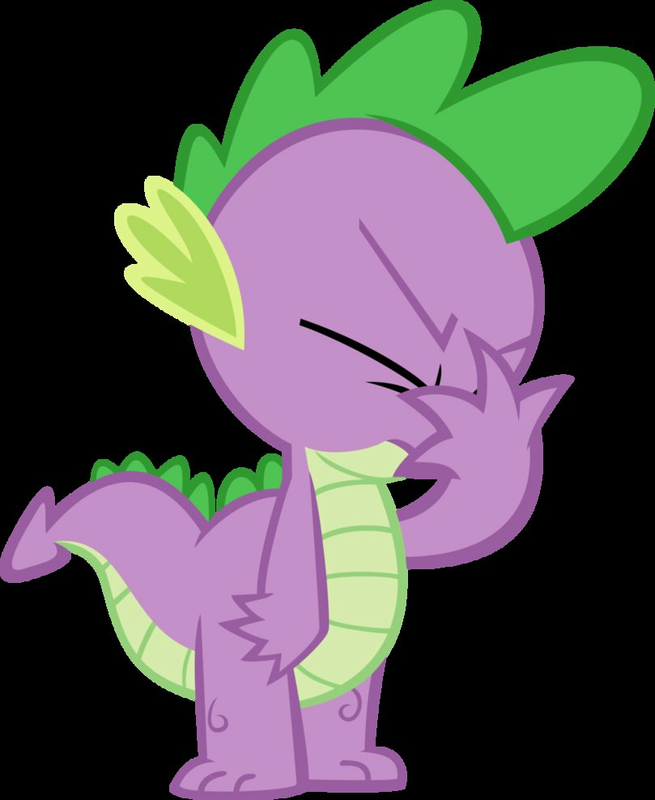 I feel like Spike should have known that a single mistake while using Twilight's name could lead to her being the blame for it all. which is exactly what took place. See, now this is what we probably would have gotten if the writers actually gave two shits about developing Spike and making him something more than a joke character. I must have missed the interview where Meghan McCarthy said that they don't care about developing Spike and see him as a joke character. You got a link? I definitely agree it should have ended either the way Buck Testa said or some way very similar. Not a bad Spike episode though, but I do hope they improve Spike to some degree as a character. In the episode if I have written it make Spike not make Twilight's decisions to the other ponies and instead the rest of the Mane 6 will try to keep everything quiet. But to remain on topic when the pipe bursted, instead of Cadance stopping it, Discord sends the water to another dimension. Forgetting that this is a show who's main target audience is very young and most probably doesn't care about how the episode ended? I wish they'd handled it like this. Seems like a much more valuable lesson to learn than what he 'learned' now. It would also have saved Twilight a lot of blame for stuff she didn't do. Ironically, Meghan McCarthy is the only one who cares about developing Spike, the only one who consistently puts him in heavy roles where he is more than just an overly abused joke character. Either the rest of the FiM writing staff either doesn't understand him, or simply doesn't care to, instead preferring to base his characterization on how supposedly humorous it is when he screws everything up. Meghan only cares for him because he is related to Twilight, the main character. Her favourite characters are twilight and Discord. I wish they'd stop useing Spike as a punch bag gag line as well. They've made some improvement but i highly doubt by series end there will be much difference in his character. I know he's no Jarvis or Alfred but he could be something along that line if they'd allow him to grow into that role. It's pretty pretentious of you to assert that somehow you know what Spike's true character is as opposed to numerous different writers (ranging from Laraon to Polsky). Do you not understand how this show works? You do realize McCarthy is involved with developing all of these stories in the episodes. All the writers do is flesh out the dialogue and scenes, but the overall structure is designed and approved by McCarthy. Not to mention, they reference the show bible frequently, so either 90% of the time they ignore it with Spike or, idk, maybe the way they're writing Spike is how Faust envisioned him. Personally I think he's being written really well, but I'm guessing you disagree. There's obviously still something to be said about how wildly inconsistent his characterization has been throughout the series. In one episode we're shown that his greatest fear is being abandoned by Twilight, in others we see that he'll abandon her himself without much hesitation. Sometimes he's exceptionally competent at his tasks, other times we're treated to episode that do nothing but highlight how incompetent he is. McCarthy's depiction of him has not only been better than just about any other writer's, but it's also the most logical for me to grasp for various reasons. And given how she's the head writer, I believe how she writes him is the way he's actually meant to be written. Whats with the personal attacks man? Yes they are the creators of the show, that in no way makes them infallible. In the same way neither are the fans infallible. Even some of the "hallowed" Faust's ideas for the show aren't exactly up to par with what the show's potential could be, that is part of the reason you have a team of writers as supposed to just one working on the show. Different sets of eyes with different sets of experiences can spot discrepancies and iron out wrinkles in the plot. That is the entire point of analysis, which from your own signature you are supposedly the "king" of. Even my original post is very rough and would need a lot of fine tuning before it could even be close to ready for being theoretically used on the show, its an outline not a fully polished and hashed out script. That wasn't the point of this though. The point is the plot used in this episode was ALSO very rough and below the standard the show has set and I wanted to prove that a better plot could be pulled out of the premise, and I think I succeeded on that front. Claiming that wanting to see the show and a character be better than it is some how makes someone conceited is offensive, even if you were not directing that particular remark towards me. I do not do this out of malicious intent or a sense that I am better than someone else, I do it because I love the show and the act of creating art and fiction, and all creative works benefit from rational critique and examples on how to improve on the original work. I have seen the videos of them joking about not really knowing what to do with Spike, perhaps they too need a different set of eyes to help them see what they can do with him, because no one is going to have all the best answers, even the writers and creators of a show, or the fans that enjoy the content. If the show bible tell them to treat Spike as an MLP version of Scrappy Doo that only annoy the viewers and characters in the show then i guess they follow it like in 95% of time. Great writing, just make all of his episode about him getting full of himself and becoming greedy and repeat the lesson every season. What are you talking about? I've made no personal attacks. I never said the staff were infallible. Cleverclover asserted that he knows what Spike's character is supposed to be, which is an incredibly pretentious thing to say, unless he's talked to the people who run the show and created Spike. If he dislikes Spike's character, that's fine. But what he said was far more than that. Being fearful of Twilight abandoning him can stem from more than one place. If it's the act of being abandoned that frightens him, which seems to be what his parents did to him, then that doesn't mean it's out of character for him to abandon Twilight. That's akin to me not wanting my mom kick me out of the house, but me being fine leaving on my own terms. It's not contradictory. Also, Spike is competent at some things, but that doesn't mean he's a Mary Sue who is competent at everything. When in the series has he been shown to be able to carry out a specific task, only for him to be unable to carry out the same task in later episodes? How was he only annoying? I'm pretty sure the latest episode had nothing to do with Spike being annoying and more with him struggling to carry out his task and then later becoming addicted to power. Also, what other episodes was spike full of himself and greedy? Apparently this happens every season, but I don't recall this happening. Could you name some episodes? If he dislikes Spike's character, that's fine. I don't dislike Spike's character---quite the opposite. I think his potential is underutilized and he deserves more than to be the show's punching bag. If it's the act of being abandoned that frightens him, which seems to be what his parents did to him, then that doesn't mean it's out of character for him to abandon Twilight. It's not just the act of abandonment. There's nothing to imply that he was abandoned. If anything, I would sooner assume that was actually stolen from his parents. Twilight alone fulfills most of Spike's hierarchy of needs, particularly Love/Belonging, Esteem, and Safety, while also making quite a dent in Self-actualization. I simply cannot understand the notion that he is able to detach himself from her so easily and so readily. When in the series has he been shown to be able to carry out a specific task, only for him to be unable to carry out the same task in later episodes? That's easy. He's been shown to have at least some proficient ability to bake, yet Spike at Your Service implied that not only is he an incompetent baker, he can't tell that something is obviously burnt and inedible. Besides, I'm not implying that he's competent at everything, but it's been shown that he most certainly has a handle on anything that Twilight actually needs from him. I'm only seeing everyone here looking at the negative side of the episode, insteada just going with it. Not every episode is gonna be perfect, and if you're gonna complain everytime something happens that you don't like, you should just stop watching it. Did you even READ what I wrote? Giving a critique on a genuinely bad episode and showing how to do it better is not "complaining" and I said in the very beginning that the premise of the episode wasn't bad. Translation: I see the positive qualities of the episode. Do not assume me to be some season one'r who just hates on an episode for no reason, or that I was even hating on the episode to begin with. Spikes character deserves better than what he gets from the writers and I was showing how it can be done. Actually READ the post that is written before you comment please. The day wasn't a major success, not everyone was happy, and not everything was neatly wrapped in a little bow, but it wasn't a total failure either, he valiantly fought on and tried to do everything for twilight and ended up in the end being too tired to even stand up straight. You almost made me cry. I think you need to write the rest of season five. That would require Discord to care about Twilight getting decent sleep. so unless we swapped Twilight with Fluttershy, I doubt that would make a whole lot of sense. unless of course you gave Discord a good reason for caring about Twilight's sleep. Lucky agrees with you! it was a very enjoyable episode. and we got to see a lot of cute stuff. if you can't enjoy it for the lack of character development, at least you can't say the ride wasn't fun. "MWAHAHAHA, Lucky plays both sides of the feild."